The ultimate weekender! With an innate sense of detail and comfort, the Antares 27 is an invitation to spend more time at sea. Modern and stylish, she preserves the traditional elegance of a established range. Autonomy, habitability, panache – she has everything to make short cruising a great experience. 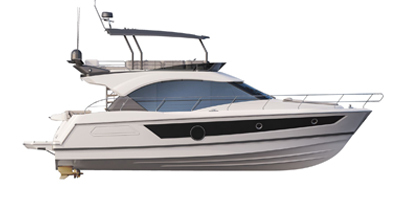 With maximum comfort on board, the Antares 27 can take up to 158 US Gal of fuel and 42 US Gal of water.